When the Buggles said that ‘video killed the radio star’, they weren’t joking – except now online music streaming is the top dog and has killed literally everything else. Gone are the days of lining up outside your local record store, or spending hours attempting to download songs from Limewire onto your iPod touch. Now we find ourselves saying goodbye to our hardcopies and entering into a whole new world of music – run by platforms like Spotify. But it’s certainly not a free service – not least because of the cost of data required to stream, which we’ll explain here. Unless you’ve been living under a rock (or just really like CDs), you would’ve heard of the Swedish-born music streaming platform that is Spotify. Launched in 2008, the service provides users with easy, free (with ads) access to an impressive collection of more than 30 million songs. 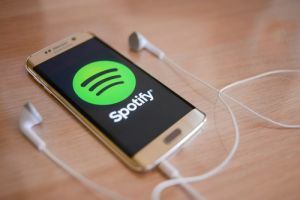 Spotify currently has over 200 million active users and 87 million of those are paying subscribers as part of the premium service – which eliminates advertising and allows users to download songs to be played later on without internet. 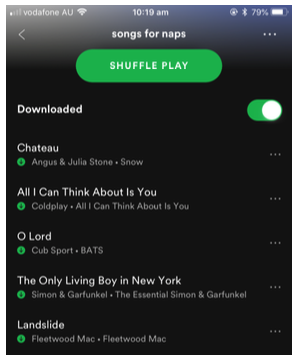 Basically, it’s all a bit too good to be true – simple, and almost every song you could want to listen to is at your fingertips. But how much data are you using? How much data is used for one song on Spotify? To put it simply, on average and with Spotify’s default audio settings, you can expect to use 2MB+ of data per every 3-minute song. If our maths is right, that means it would cost you 38MB in data to listen to Travis Scott’s 58-minute Astroworld or 31.5MB to listen to Ariana Grande’s 47.25-minute Sweetener. The amount of data used changes, however, with the level of audio you choose to listen to your music. Audio settings: What does this mean? Basically, Spotify data usage is related to the level of audio quality you have chosen. 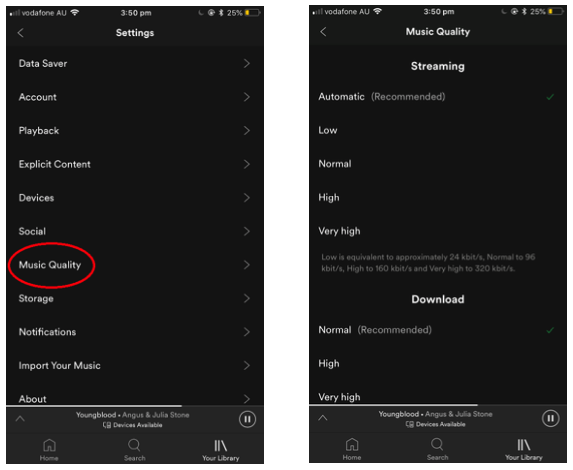 Spotify has several audio quality settings, which be located through clicking on ‘your library’ -> ‘settings’ -> ‘music quality’, and then adjusting accordingly. Spotify audio settings are as followed, as stated on the Spotify application. They are measured in kbps, which stands for kilobits per second (‘bits’ are essentially pieces of the song). Automatic quality – (this is Spotify’s default setting we spoke about before – the quality is based on your internet connection, but will never dip below 96 kbps). Then, according to NBN Co, this is how audio settings translate into how much data you will be using, per 3-minute song, and then per hour. So, that means if you’re listening to bangers to and from work every day on a round trip of an hour, you could be using up to 750MB data a working week! Obviously, you can try and reduce your data usage by listening to your music at a lower quality, but hey – who wants that. Luckily, we’ve rounded up some hot tips to try and help you save that dosh and still hear Eminem’s voice in the high-quality that it should be. This is simple, but often overlooked. You can check how much data you are using each day by going to your phone’s ‘Settings’ then clicking onto ‘Mobile Data’. This way you can squeeze out as many songs as you can before turning off your data at the end of the month in order to not go over in your data usage. Given that so many of us love streaming music on the go, and our big telcos are always looking at ways to keep us happy, some service providers now provide data-free music streaming on select phone plans. 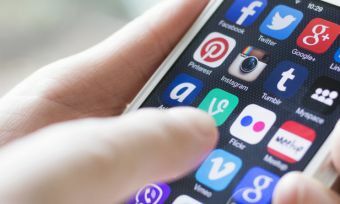 Not all providers offer this – and some limit the data-free joy to select streaming platforms – but if you take your Spotify and data usage seriously (why wouldn’t you), it pays to keep an eye out for the latest mobile deals. This requires you to purchase a premium account – but the payoff might be worth it in the end. Spotify premium allows you to download all your songs whilst you are connected to the internet (Wi-Fi), which can then be played later on even if you are not connected to the internet. This is great way to save data usage, especially if you can connect to Wi-Fi whilst you download your music. So, there you can have – we guess it’s true that can have your cake and eat it too (and by that we mean superb quality downloaded music and no ridiculous phone bills).